While it has been a while, there was a time when much of my artistic imagery was of a monstrous version of myself. It evolved over the years, but the key features manifested in my early 20's in the form above. A stylized werewolf. This came from an internal development that felt poignant to me in my teens. There was a recurring nightmare I had for the majority of Grade 10, where I would be walking somewhere alone, at night, and find myself hunted down. The details varied: the setting being the woods or streets or hallways or whatever, the sense of being followed would grow gradually or it could snap suddenly with a grim knowledge, and the end could be a grueling chase with endless desperation until I was torn apart or it could be a flash of panic and jolting awake. At first I never saw what was chasing me, but then I generally had a good, horrifying look at the Thing. Then the nightmare developed a deeply creepy echo-nightmare: after I woke in a cold sweat and fell back asleep, I dreamt that I had found the source of my torment and so I chased it down and killed it. It felt like the original nightmare had reached the limits of how terrified I could be, so the follow-up seemed to by trying new ways to mess with me. The thing that I chased and killed exposed depths of rage I was horrified to feel. The penultimate twist was when the thing that enraged me started to more obviously resemble myself. Honestly, it wasn't until years later when I first started retelling this experience that it occurred to me how blatantly obvious and cliché this all sounds. The final shift eventually came one night when, just as the first nightmare was starting to get into swing, I recognized that I was in that nightmare. Almost casually, I wondered if I really needed to hunt myself down twice and experience it from both sides. Which, I should be clear, I had not actually realized was the case before - either asleep or awake. It felt like the two nightmares sort of, well, melted into me. Still asleep, I decided to be the Thing - and I reveled in a sense of super-powered romping through the neighbourhood and nearby woods. From then on, the lucid dreaming became the norm. And I still have them, from time to time. I still cherish my taloned alternate existence. But there's more to it. Because the original nightmares had their own particular origin, even though they grew to encompass all of my own self-loathing and sense of being an outcast and random other bits of teenage angst. 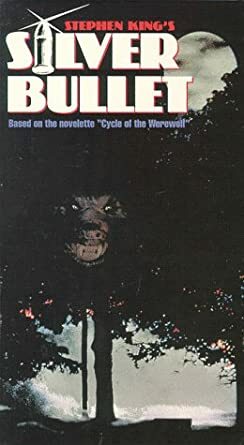 That origin was the movie: Silver Bullet. I was 12, and I watched it at an acquaintance's house one summer night. It's pretty good, though when I got S to watch it she was far from impressed. The ride home afterwards, in the dark, was unbelievably terrifying. My imagination was in overdrive, and the sense of being chased was clearly traumatizing. So, that much is pretty obvious. What is less obvious is the way the story stuck in my head. Because the characters were interesting and fairly well-developed, it was easy to get in the heads of who they were supposed to be. The main character was simply too charming and brave for me to identify with, even though I liked him a lot. The sister (cousin?) was cool, and I couldn't believe myself to be like that either. Neither could I see myself in the quirky and fun uncle. No, I found myself writhing with a sense of understanding the werewolf. The werewolf spent most of its existence just trying to fit in. It did its best to be the best person in the whole town. It worked at being generous, and being people's friend, at being helpful. It's just that sometimes it couldn't help but become something that everybody absolutely hated. And everybody hated it, and worked together to get rid of it. Until finally it lashed out in an obvious way and it could be gotten rid of, because that path of lashing out was a trap. The bias of this view is faintly ridiculous, but it represents how it wormed into my head. It is also seductive to imagine being powerful, because I spend much of my teenage years being forced over and over again to admit I was less powerful than the bullies. 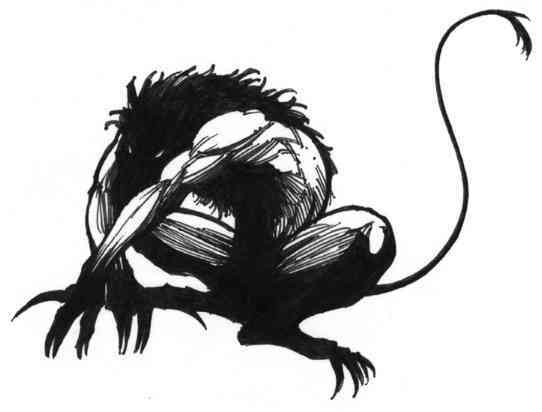 So that's how lycanthropy became a personal metaphor for self-loathing, but also a symbol of how I claimed my own power and grew to accept myself. This page was last edited on 11 April 2019, at 13:06.